Welcome back to the Hell Creek Formation! 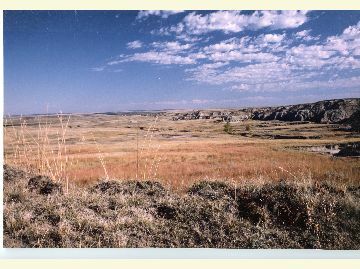 This second ‘paleo’ project will be looking at 65 million-year-old geology to find fossilized plants and animals from when this part of North Dakota was a tropical climate. Once again, we will be walking the landscape searching, documenting, and recording fossils and, in some areas, returning to the excavations of dinosaurs we already discovered during the course of previous projects. But, rest assured, even though this will be the second Paleontology PIT for this District, there are still a lot of fossils to discover! Please note: August is hot and typically very dry here. Expect high winds, blowing dust, intense sun, insects…and a lot of fun and comradery. The work is hard, but exhilarating, and we always find something new and unusual! Join us for the heat and high winds, but leave with a smile you’ll have a hard time getting off your face – see you in August!